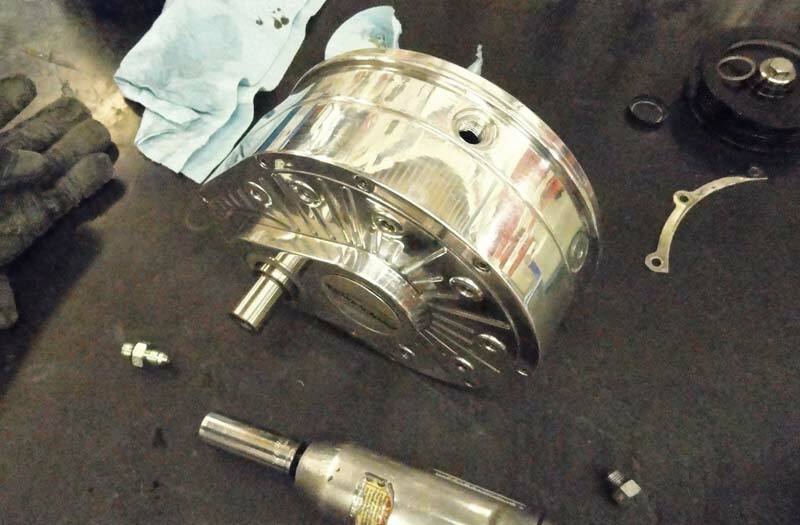 The Procharger P-1SC-1 Supercharger does not come with a drain line kit pre-installed. 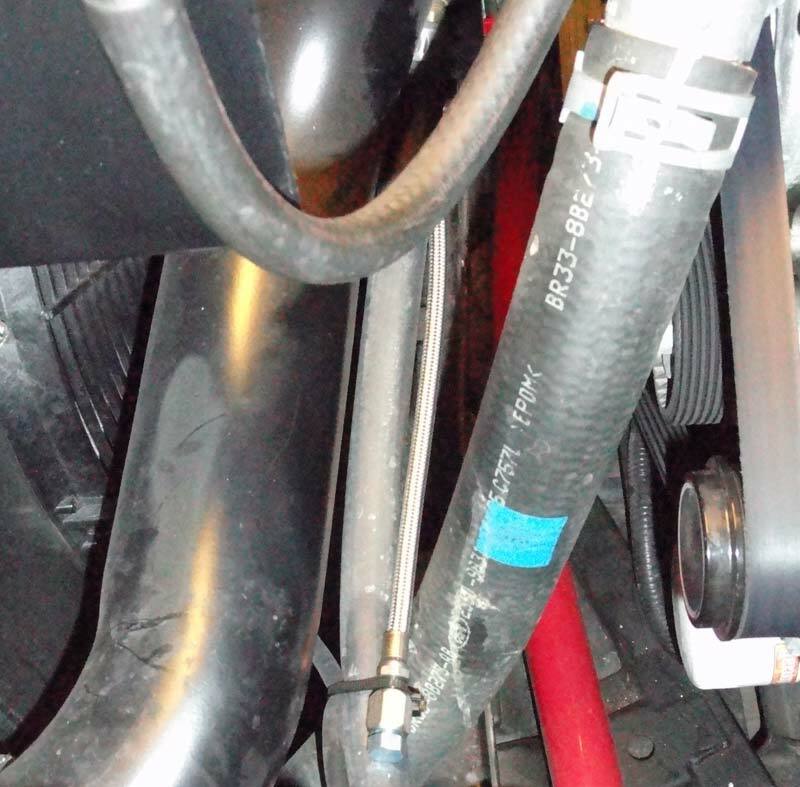 This drain line make it easier and cleaner to change your supercharger oil. This drain line is a good idea to put on ether during the initial supercharger install or when you have the head unit off. The Procharger supercharger kit for the 3.7L Mustang needs to have the head unit off the car so you can get to the drain bolts. 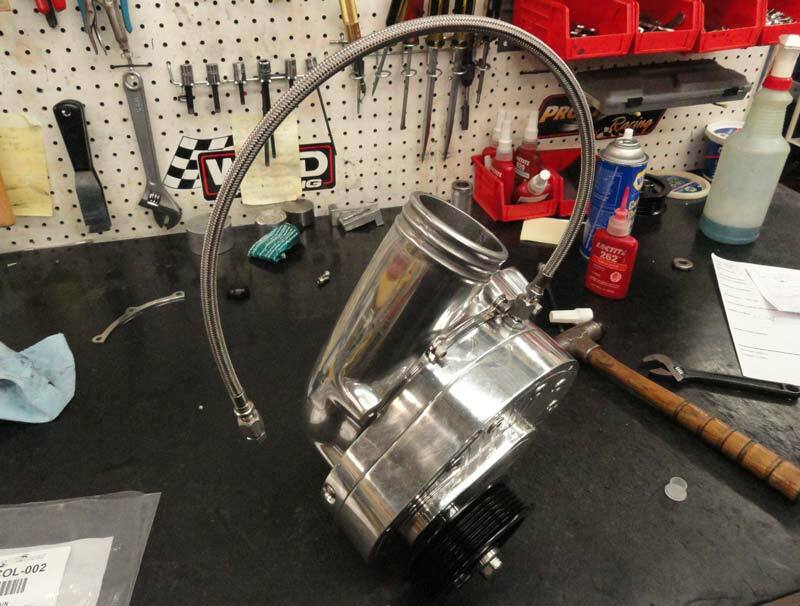 The drain line kit for this blower is Procharger part number 3PCOL-002. 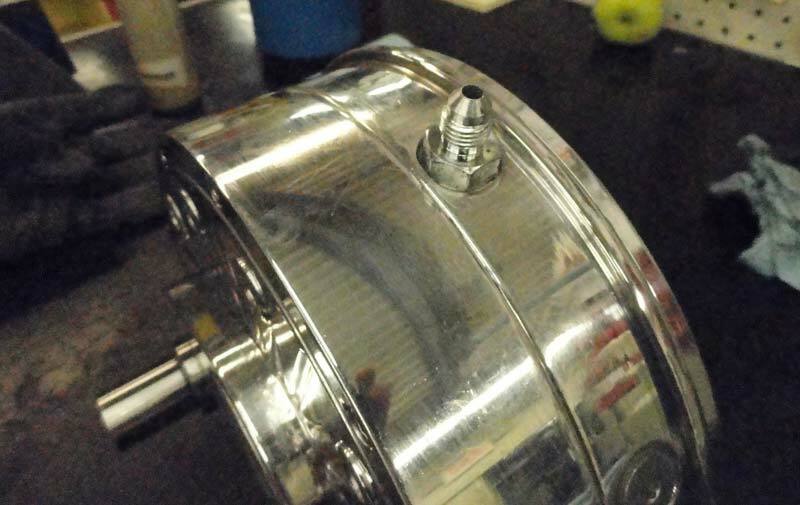 You have to remove the clamps that hold the compressor housing so that you can get to it. I did this at the factory so we pulled the whole compressor housing to inspect the blower. The one clamp from the factory cover the area the drain line would fit. Then install the new drain plug. Now you can put the housing back on. The kit comes with hard ware to change the clamp placement. Then screw on the drain line. 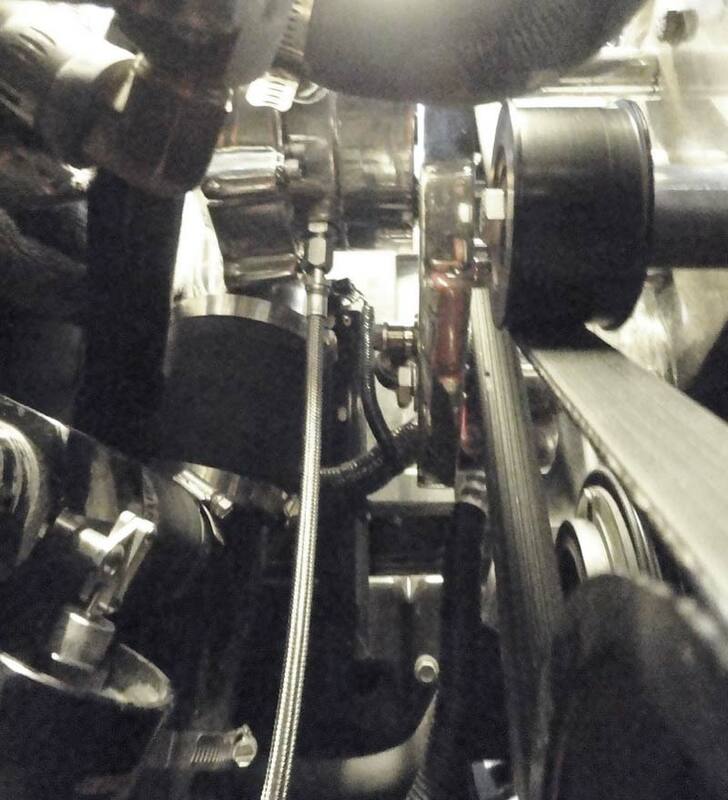 Here is a shot from under the supercharger. This is how the drain line sits when you have it back on the car. I then zipped tied it to one of the heater hoses so that it would not flop around and get into anything.